Spend long enough in a cooperative organisation and you are bound to land yourself in the sticky situation wh ere you are confronted with an ethical dilemma. 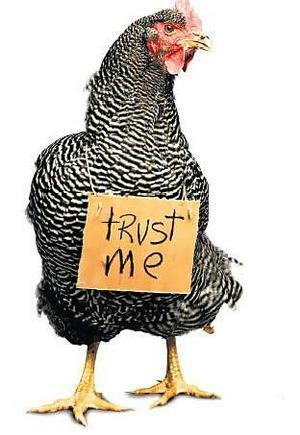 The thing about ethical dilemmas is there is hardly ever a right or a wrong solution. The solution usually depends on the perspectives of the people involved making the decisions and they are the ones having to live with those decisions. Too often people find themselves in these scenarios, without being prepared or having the skills to make ethical decisions. Ethical tools can help to navigate one’s way through these difficult decisions while minimizing harm. Boards and other groups whom are likely to be challenged with an ethical dilemma at some point, would be wise to ensure they have an ethical strategy in their tool box that can be used when the need arises. Are all the agents in this situation being consistent with their own past actions and beliefs? That is, are they acting according to an ethical principle/ethical principles which they would be willing to apply in any other similar situation? Are they ‘doing to others as they would they should do unto them’? With this Playcentre leadership rite of passage comes a challenge to ensure that we have a continuous and steady flow of people putting their hands up. We call it emergent leadership. Without a well-oiled emergent leadership machine, gaps can appear. Gaps are not unique to Playcentre though. This report from the Center of Creative Leadership shows that gaps in leadership is a global phenomenon. Another challenge is the one of leadership competencies. Leadership competencies have three arms to it – leading self, leading others and leading organisations. 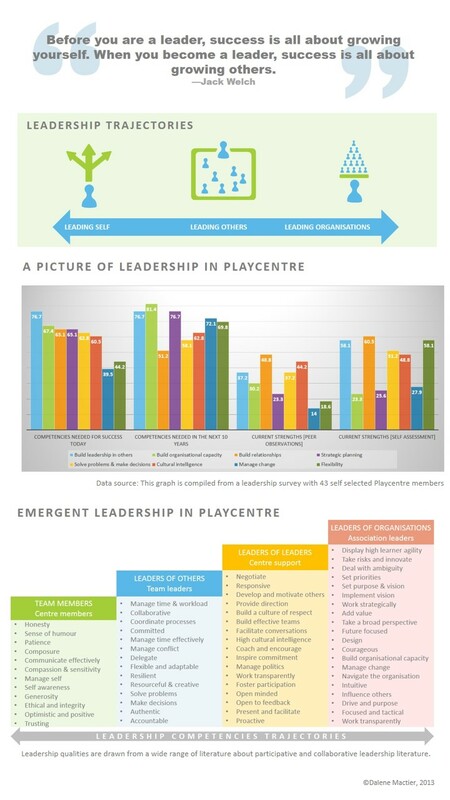 In Playcentre we have a strong focus on the first two competencies – leading self and leading others. These two competencies will serve most people well at centre level. However when we move on to taking leadership roles at the association and the federation, we need to add organisational leadership competencies to our leadership kete. If we want to reclaim our rightful place of movers and shakers in Aotearoa, we need to make it our business to learn the organisational leadership competencies to ensure that we not only have a steady flow of leadership competencies, but that we also have a steady flow of the right set of competencies.